Did you know that about 11 million loaves of bread are sold in the UK every day? Did you also know that, according to the Federation of Bakers, around 80% of those are factory baked? Yep. That's a pretty bleak statistic given how many fantastic independent bakers are throwing down the flour across London and beyond. Luckily for you though, we've taken one for the team and searched the capital to round London's best to help you shop local and well. And we're not just celebrating those baking brilliant bread either. Some of them – like Dalston's very own Dusty Knuckle Bakery or The Luminary Bakeryin Stoke Newington – are even social enterprises using food to do good. Even better, right? So, whether you're searching for the toast to your avo, the base to your bacon or the sidekick to your peanut butter and jam, you can always trust in these guys to deliver real bread done well. Foodism 100 shortlisters and all-round good guys The Dusty Knuckle Bakery is a good place to start if you want to bag yourself a decent loaf of real bread. The organic bakery and social enterprise was founded by Max Tobias and his mate Rebecca in 2014. It started out in a shipping container in Hackney and was set up with two things in mind: to produce knockout bread and train up and employ vulnerable young people while doing so. 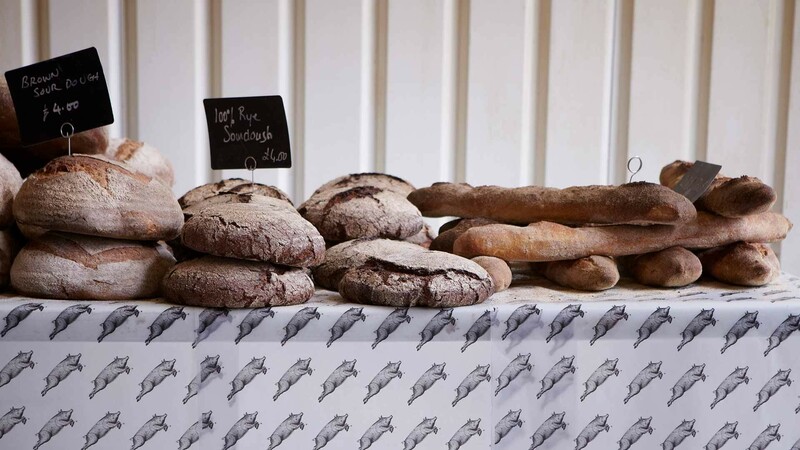 Dusty Knuckle flogs its loaves at a number of farmers markets across London, but you want to get your hands on one of their epic sarnies, then you're going to have to get yourself to the bakery's new container café in Dalston. St. John lives by the rule that "bread is as fundamental on the table as your knife and fork" and, as complete carb fiends, we couldn't agree more. Slow-fermented and a labour of love, the sourdough loaves and doughnuts from St. John's bakery are famous for a reason. Find them every weekend on Druid Street, artfully arranged outside the bakery, underneath the Bermondsey railway arches. Alice Boyle's bakery and social enterprise café really is something special. Located on Allen Road, it uses baking as a form of therapy to empower women who have survived hardship. 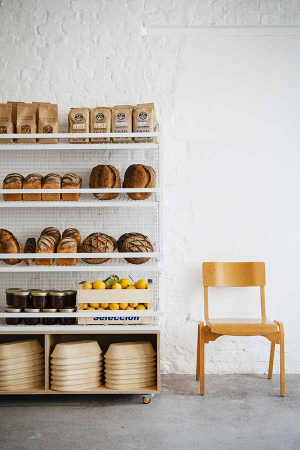 Boyle and her band of bakers supply bread, cakes and buns to restaurants and cafés all over London, including Luminary's own café in Stoke Newington. If you didn't already believe in the restorative power of good food, you definitely will after a trip to Luminary. East Dulwich or Peckham Rye? Take your pick, but either way, you're in for banging bread every time at Brick House. 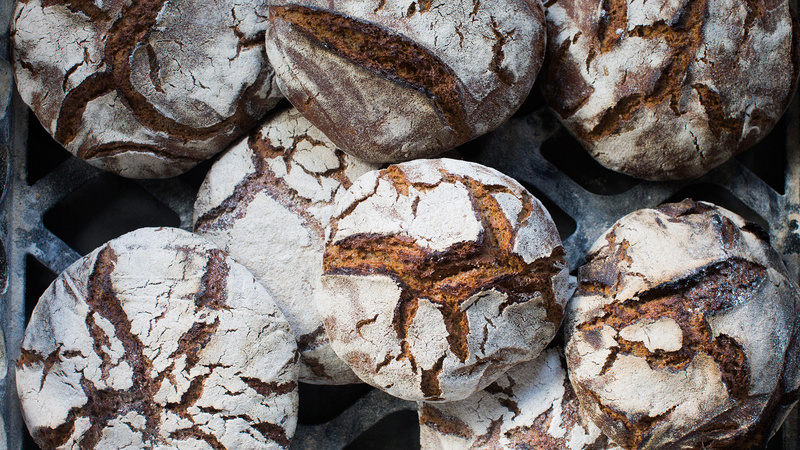 Everything is made on site in the sunlit East Dulwich café and shop – which specialises in the type of organic sourdough made famous in San Francisco bakeries such as Nancy Silverton's La Brea – and loaves can take up to two days to make. 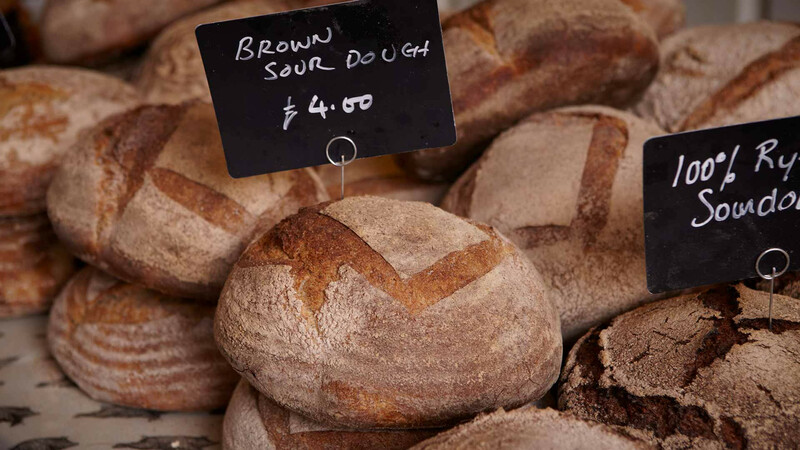 Make your way to one of the two to grab a slice (or loaf) of the action in store, where you can also enjoy these floury masterpieces alongside a steaming cup of Square Mile coffee and cheese from Neil's Yard Dairy. When it comes to the best bakeries in London, the inclusion of Harrods might raise an eyebrow or two. 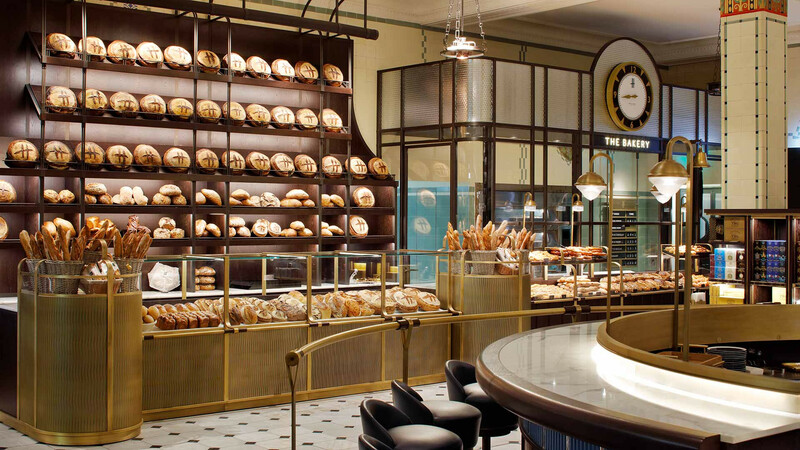 But not only has its famed Food Hall undergone a massive revamp (including a new coffee roastery, shelves stacked full of high-end groceries and more), its new bakery is 100% sourdough-based: from the standard loaves to its baguettes and brioche, it's all real bread, fermented without artificial yeast. At £4, a lovely loaf from there doesn't come in cheap (and nor should it), but it's also worth mentioning you can get your initials carved into it. If that doesn't seal the deal, we don't know what will.